Diversifying into different sectors with quality products is the way forward to stay afloat, real estate experts and developers said during the 10th edition of International Real Estate and Investment Show held in the Capital. They said the new investment law will add much-needed confidence in the market. 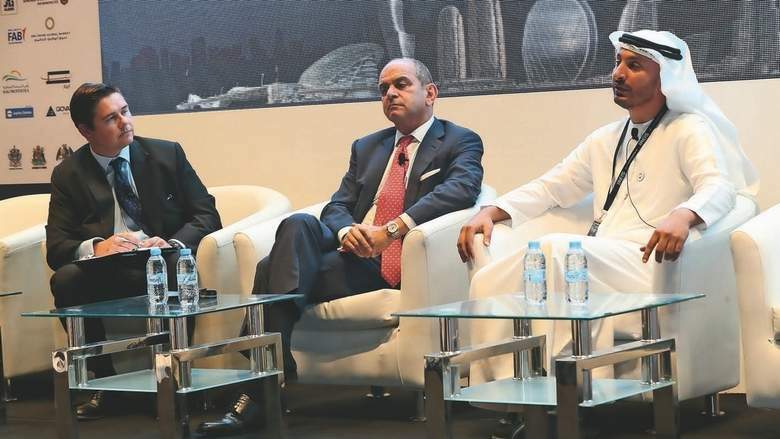 Chairman of Real Estate Sector Committee, Abu Dhabi Chamber of Commerce, Dr Mubarak Al Ameri, highlighted that the capital’s economy was robust and an investor-friendly destination. “The culture of real estate is new in Abu Dhabi and evolving. So we will take some time to adapt to this culture. Even the government bodies will take some time. But in generally the economy is very solid and I encourage everybody to invest in Abu Dhabi. In coming days, government bodies will be more dynamic,” Al Ameri said during a panel discussion. An Aldar Properties’ official said the real estate developer has multiple assets located in key and unique destinations in its portfolio which gives an edge over others and helps to prevail over market trends. “Because of our sheer size we tend to strike a fine balance of being a market maker in Abu Dhabi,” Aldar, executive director, commercial, Maan Al Awlaqi said. “Yas Island is an entertainment destination with Warner Brothers, Yas Mall, du Arena, Ferrari World and Yas Hotel. We are also in the process of handing over the first residential units.” Al Awlaqi noted Aldar’s acquisition of assets on Saadiyat Island in sectors ranging from hospitality, retail, residential, education and infrastructure. Then there is Aldar’s Al Ghadeer residential masterplan with 14,408 units and gross floor area of 1.3million sq. m.
“Despite prevailing market trends, we continue to have demand for our destinations. We make sure to be competitive and have promotional offers. And we have seen very good level of interest in many products. A lot of it is not just marketing but word of mouth. When you have your family and friends moving into a new destination a word of mouth goes around.” Al Awlaqi said focused and disciplined players with unique products will survive any market situation. “Abu Dhabi has so much to offer,” he said and added the capital needs to be promoted as tourist and business destination. Bloom Holding chief executive Sameh Muhtadi said the group, apart from properties, has diversified to education, hospitality and healthcare. The CEO said Bloom operates schools in Abu Dhabi and Al Ain and expanded to Dubai. For developers to tide over the slowdown, Muhtadi said mature decision making and identifying the requirements of Abu Dhabi market should be the key area of focus.